We seem to be surrounded by boxes and packaging at this time of year. I’ve ordered some Christmas gifts online and have been inundated with boxes which the children have been having lots of fun with. The boxes have become cars, trains, even a place to sit and watch tv. 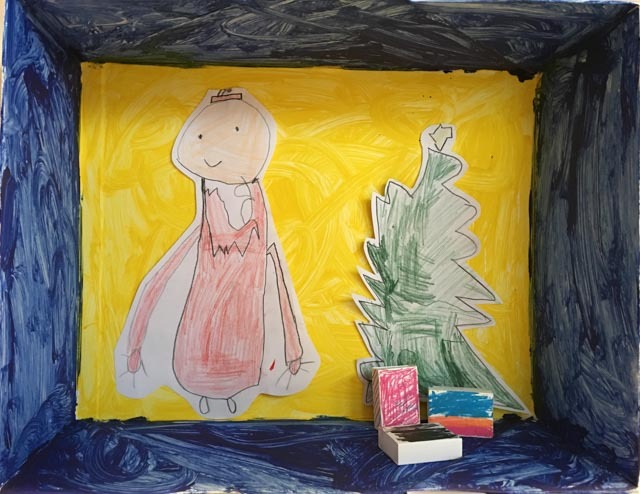 I thought it would be fun to challenge the children to make a 3D Christmas grotto using the lid of a box. Staedtler sent us a bundle of their products to get creative and they really enjoyed themselves. 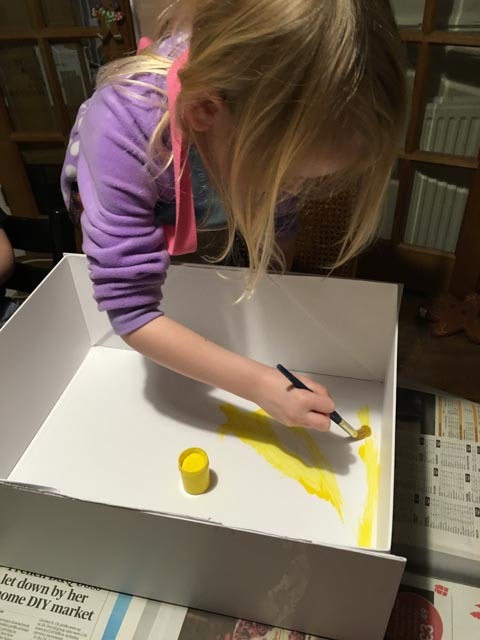 Little Sis decided she wanted to paint the box using Staedtler Poster Colours, she chose yellow for the back wall of the grotto and blue for the wall, floor and ceiling. Whilst she was busy painting, Big Brother was designing the inside. 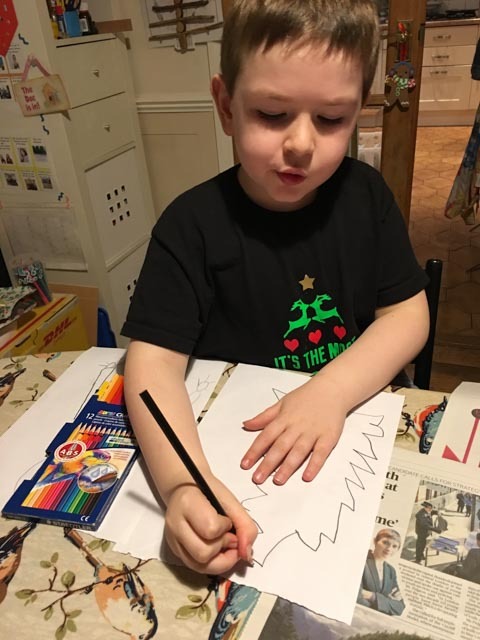 He decided to draw a Father Christmas and Christmas tree, using the Staedtler Watercolour Pencils. When he had finished he cut them out and stuck them inside the grotto. 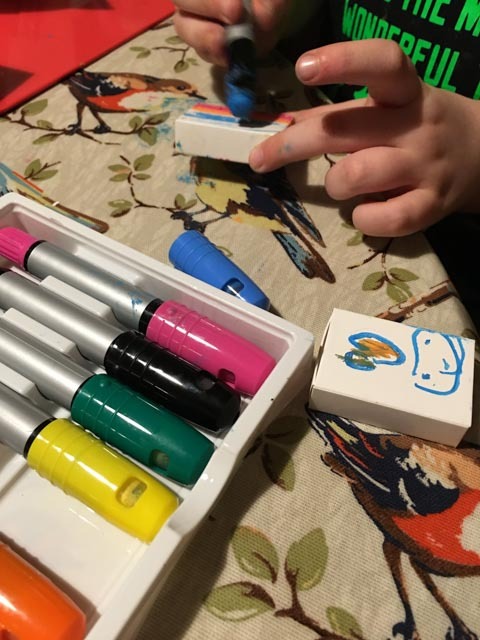 They wanted to add some presents so we found some small matchboxes which they coloured using Staedtler Gel Crayons. These were a bit messy to use so we left them to dry overnight. 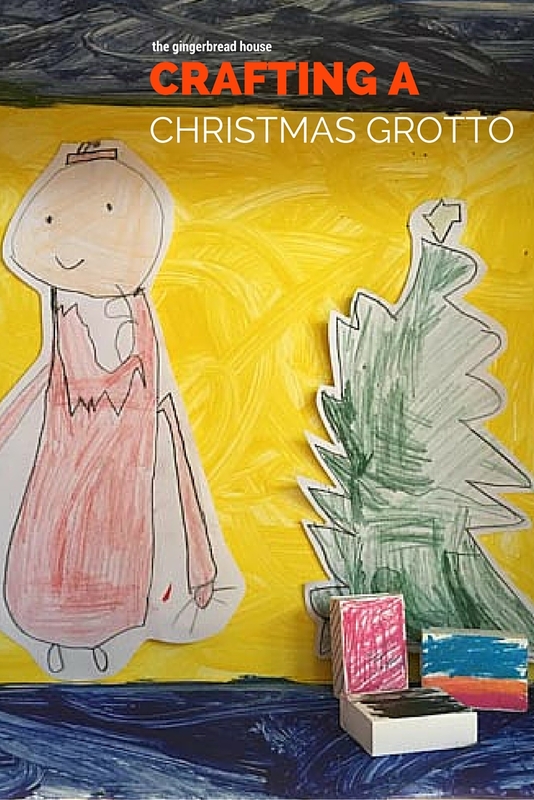 When they had finished crafting we put the Grotto together, filling it with our Father Christmas, Christmas tree and presents. I love what they have created, and they do too!